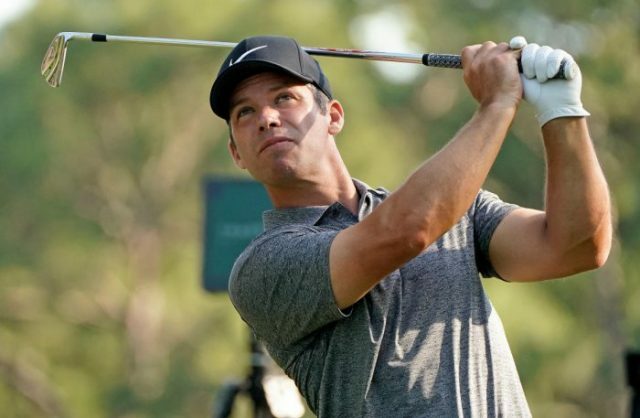 After last year’s thrilling one-shot victory over Tiger Woods, Paul Casey became the first repeat winner of the Valspar Championship with a one-shot win over Jason Kokrak and Louis Oosthuizen. The Englishman became the third straight European winner on the PGA Tour after Francesco Molinari and Rory Mcilroy won the Arnold Palmer Invitational and The Players Championship the last two weeks. But it didn’t come easy on a windy Sunday at Innisbrook, as Casey made three bogeys in his first nine holes and turned in one-over 37. The 41-year old Casey was tied with Kokrak entering the 18thhole, but a Kokrak bogey meant Casey needed just a par at the last to defend his title. Casey made things interesting when his tee shot found the fairway bunker, but his approach found the green and two putts from 22 feet sealed the deal. “It feels cool. It was messy but this course was so difficult and I did make errors. Looking at 72 holes, it was hard work,” Casey told reporters after the round. Casey started the day one shot clear of world number one Dustin Johnson, but Johnson never got anything going Sunday and closed with a 73. The round snapped Johnson’s streak of 14 straight sub-70 rounds and was his first final round without a birdie since the 2017 HSBC Champions. Luke Donald showed some flashes of the golfer that was ranked number one in the world for 56 weeks in 2011-2012 as he finished in a tie for ninth. Donald is still working his way back from a back injury that sidelined him for six months, and the Valspar was just his second start of the season. Donald is playing on a major medical extension this season and has 15 starts to earn enough FedEx Cup points to keep his Tour card. His performance this week was a good start, but Donald is still ranked just 175thin the standings. Even as his Ryder Cup assistant captaincy and broadcasting work with Sky Sports showed that his playing days could be over sooner rather than later, Donald still believes he is good enough to compete. If the 41-year old Donald is looking for an example of how to succeed on the PGA Tour into your 40s, he shouldn’t look further than this week’s winner Casey.